The Battle of Pirajá was part of the War of Independence of Brazil, and was fought in the province of Bahia on November 8, 1822. In command of the Portuguese forces in Bahia was Inácio Luís Madeira de Melo, who had been sent by Portugal to quell rumors of independence and political and administrative dissent. The French general Pierre Labatut, who had been appointed by the Prince Regent, Pedro I of Brazil, on July 3, 1822, as commander of the Peacemaker Army, took command of the Brazilian forces against Madeira de Melo. Tobias Monteiro, in his A elaboração da Independência, records that a Major Barros Falcao, who led the Brazilian troops at one point, had ordered a retreat, but bugler Luis Lopes instead sounded the "cavalry, advance and behead". Such a move would have been impossible, since there was no Brazilian cavalry in the battle, but the Portuguese panicked and retreated, giving the advantage to the Brazilian troops, who attacked with renewed enthusiasm and won the battle. 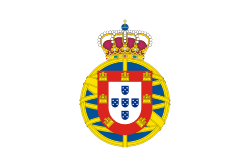 The battle was a decisive engagement between the Peacemaker Army and the Portuguese Legião Constitucional. The Brazilian victory consolidated the political and military defeat of the Portuguese in Bahia. Such factors would contribute to the independence of Bahia instigated on July 2, 1823, regarded by many researchers and commentators as a framework for the effective and practical independence of Brazil.